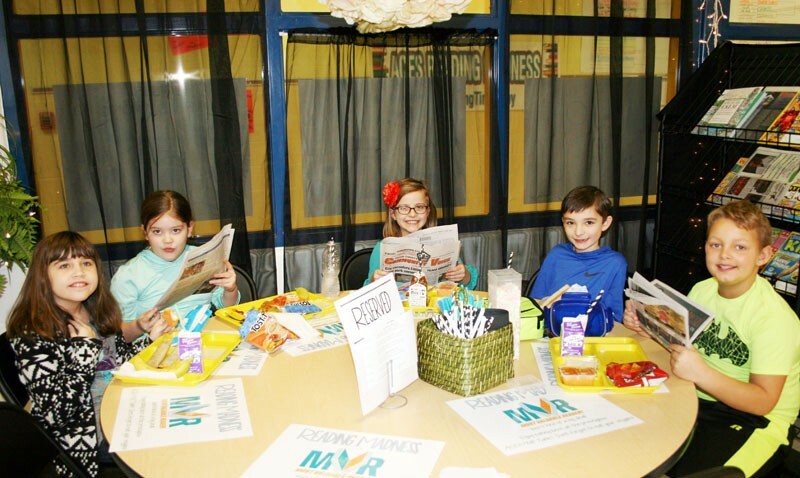 The ACES Café reading table Wednesday featured five students who had accumulated an outstanding number of Accelerated Reading points over the past few weeks. Pictured, from left, are Jenna Claywell, Abbie Kemp, Maycee Hovious, Luke Melton, and Jylon McFarland. Students at the math table in ACES Café Wednesday included, clockwise from bottom left: Emery Odd, Addison Spoon, Kinzlee Akin, Charlie Grant, Tyler Murphy, and Jaden Turner. The six students were selected based on their rapid progress in Accelerated Math. 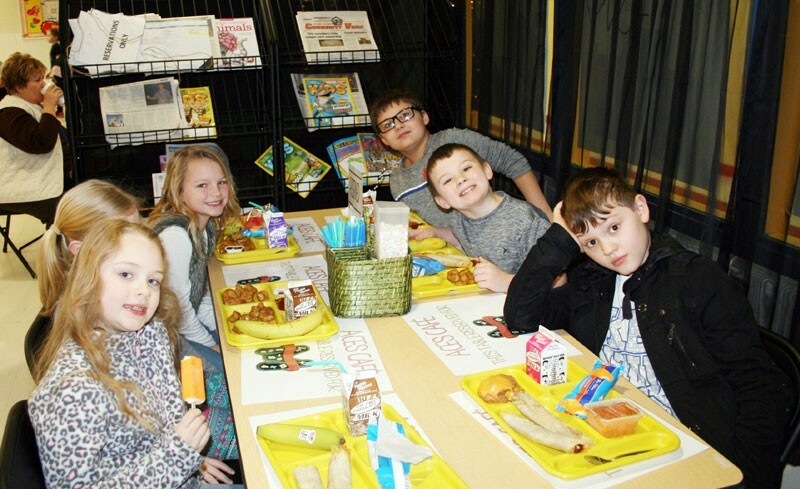 Students at Adair County Elementary School have another incentive when it comes to their progress in reading and math, as ACES Café debuted last Friday as a reward for students showing improvement in those areas. A sectioned off area of the cafeteria with a wide selection of reading material, the café will serve as a prize for students who work hard academically. Open for only a few days now, students are already asking their teachers what they have to do to have a lunch reservation at the café. The concept has proven an effective, low-cost way of encouraging students to work hard in the classroom. The young scholars at the tables Wednesday were excited to be selected for the honor.